PROSECCO is NOT the only game in town! 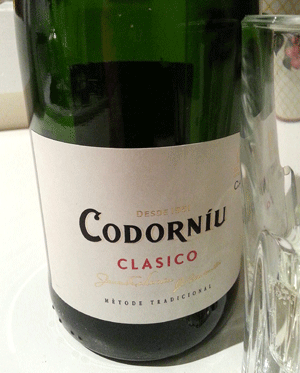 Love the lighthearted feeling in this Cava – the official name for traditionally made sparkling wine from Spain. First sip is fruity Prosecco-ish, very gulpable. But then you get more – love more – as in the fresh baguette flavours of Champagne. For sure it’s not The Dom, but certainly super satisfy for the money. I taste over 200 sparkling wines annually and I’d rank Codorniu #1 for quality/value.